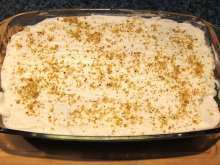 Favorite rice pudding, this time with all the Christmas flavors. 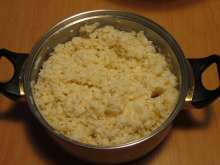 Cook rice in milk with vanilla sugar. Allow it to cool. 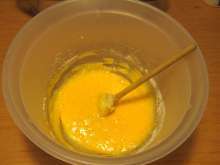 Mix butter and sugar, stir egg yolks in. 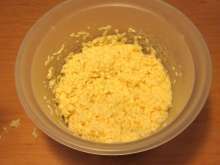 Mix rice in the butter and egg mixture. 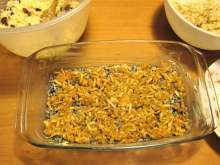 Divide the rice mixture into thirds. 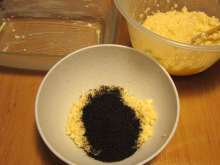 Mix poppy seeds in one-third. 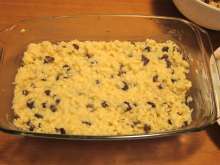 Mix second-half with ground walnuts and third-half with washed raisins. 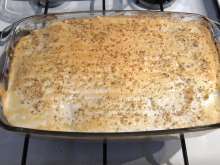 Grease deep baking tin with butter and evenly spread poppy seed rice in. Wash apples, peel them and grate coarsely. 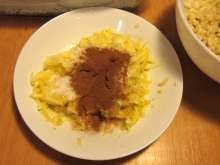 Mix them with sugar and cinnamon. 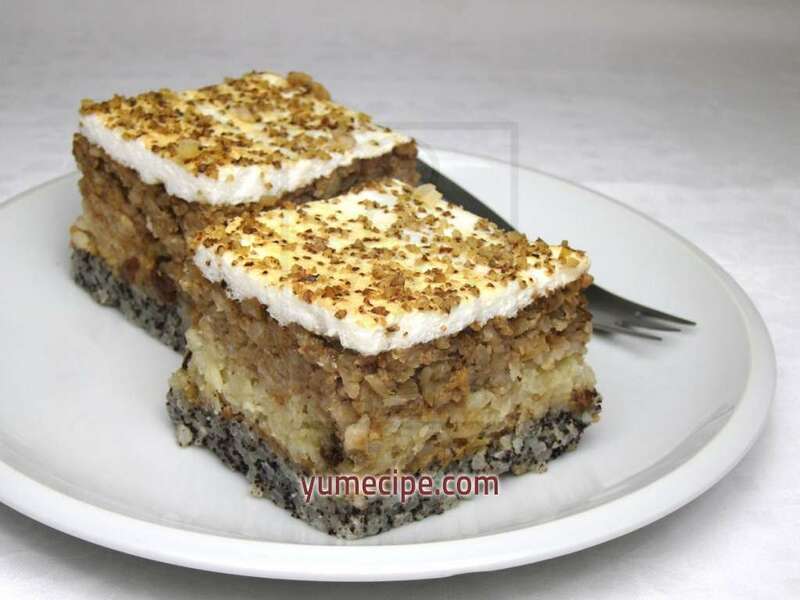 Lay half of the apples on poppy seed rice. 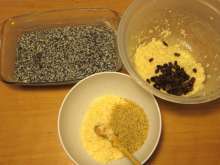 Spread rice with raisins over the apples. 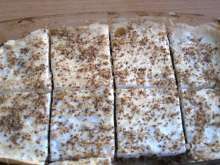 Lay second-half of the apples on raisin rice and at the end spread also walnut rice. 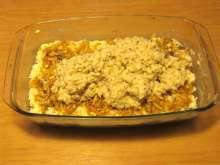 Bake covered in the oven for 40 minutes at 355°F (180°C). Whip egg whites into stiff foam, stir sugar in and spread the foam over the hot pudding. ...and bake for another 10-15 minutes. Serve it warmish. We can pour each portion over with raspberry juice.